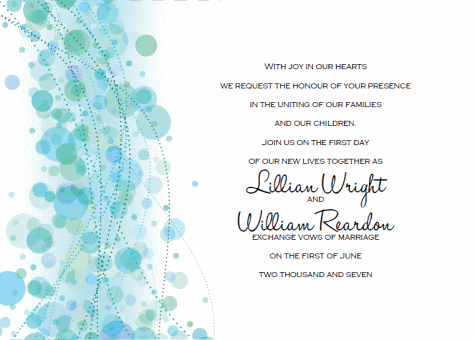 I love these whimsical Blue Bubbly wedding invitation templates. They are elegant and feminine, yet modern and chic all at the same time! 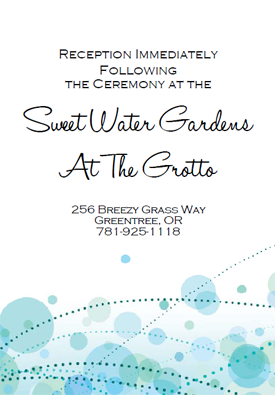 These invites invoke visions of a gorgeous and ethereal wedding full of shimmering blue bubbles, pearl garlands and satiny blue, green, and aqua linens. 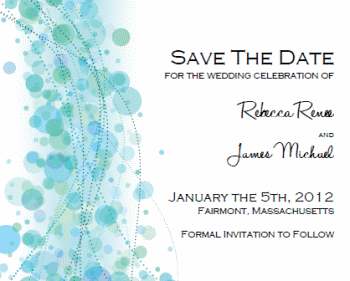 Save The Date Invitations - prinatble std pdf file, 4.5" x 3.75". Prints four to a page. 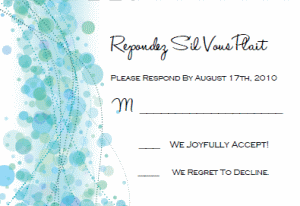 Response Cards - printable rsvp pdf file, 4.75" x 3.25". Prints four to a page. Enclosure Cards - printable enclosure card pdf file, 3.25" x 4.75". Prints four to a page. 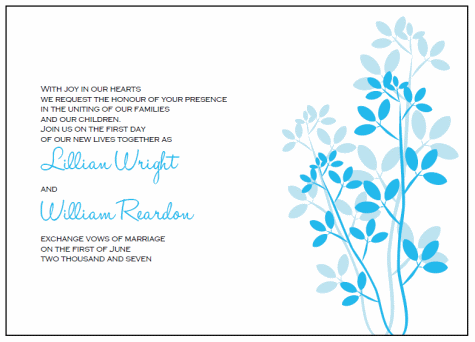 Wedding Favor Tags - printable favor tags pdf file, 1.75" x 1.75". Prints twenty to a page. Wine Bottle Labels - printable wine bottle labels pdf file, 4.25" x 3.25". Prints four to a page. 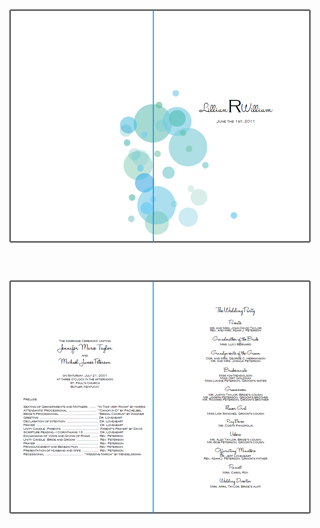 Water Bottle Labels - printable water bottle labels pdf file, 6.25" x 1.85". Prints five to a page. 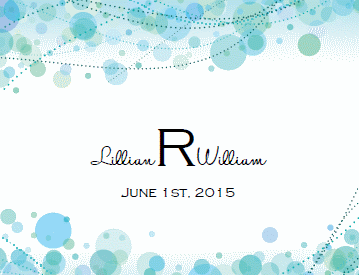 These invites take me immediately to some sort of under water mermaid celebration. You could really play this whole theme out with a beautiful mermaid style wedding dress, table wear and linens in satin and shimmery organza in oceanic colors, and tiny crystal bubble wands for all of the guests! 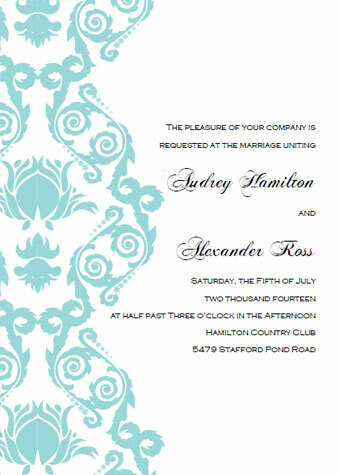 I think these invites look gorgeous simply printed and used as-is on some heavy cardstock. Butif you're looking to really pull back all of the stops, here are some ideas. Add some shimmer with glitter glue, embossing powder, or glimmer mist. Hold your deluxe kit together with a homemade belly band! Add some organza or satin ribbon to top it off! Add some stick-on rhinestones in the mix! 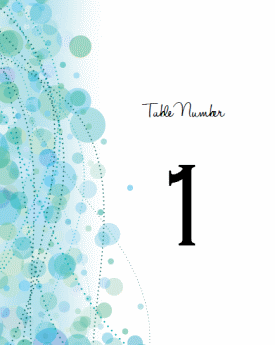 All of our templates come in the form of a interactive PDF file. 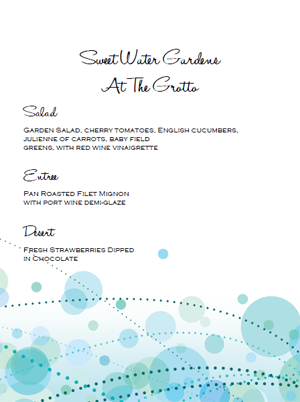 You can change the text and wording part of the invitation only. 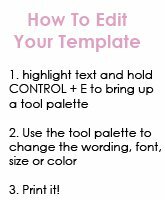 Change the wording, fonts, font size and color, alignment, etc. You cannot change the color of the graphics themselves. 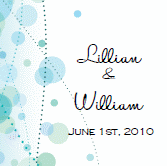 Print the template pieces onto thick heavy cardstock. All items are set multiple times per page to conserve paper. Use the handy cutting guidelines to trim your stationery to size.